A portable computer is now one of the basic tools of work and entertainment. Equipment where we spend many hours a day. That is why it is worth answering the question: what laptop to buy ? Let's start with finances. My experience tells me that a good laptop should be spent around 3000-4000 PLN. The machine in this price range will not ruin most of the portfolios, but at the same time it will be so good and efficient that you will not have to replace it for three, four or even five years. However, you should not automatically disqualify all equipment that is cheaper. In the lower price levels there are gems that are worth being interested. A large group of people has, too, simply not so demanding performance requirements, so more expensive equipment they do not need. It is best to put on equipment with a metal casing, the elements of which are well fitted and do not squeak. Its quality you need to check yourself, in the store. Why metal? Because standard, plastic housings are much less durable and often, though not always, look less impressive. It is worth paying special attention to the sensitive elements of the laptop, specifically the hinges. They should also be made of metal. The best solution is to choose a computer with one, longitudinal hinge, the durability of which is greater. The housing should not only be durable, but also slim, so that the computer looks nice and elegant. It will also make the equipment fit in almost any bag or backpack. In addition, slender computers are often lighter than their thicker competitors. Thanks to this, even after a day with a laptop in a backpack, we will not feel back pain. In my opinion, a modern notebook can not weigh more than 1.5 kg. 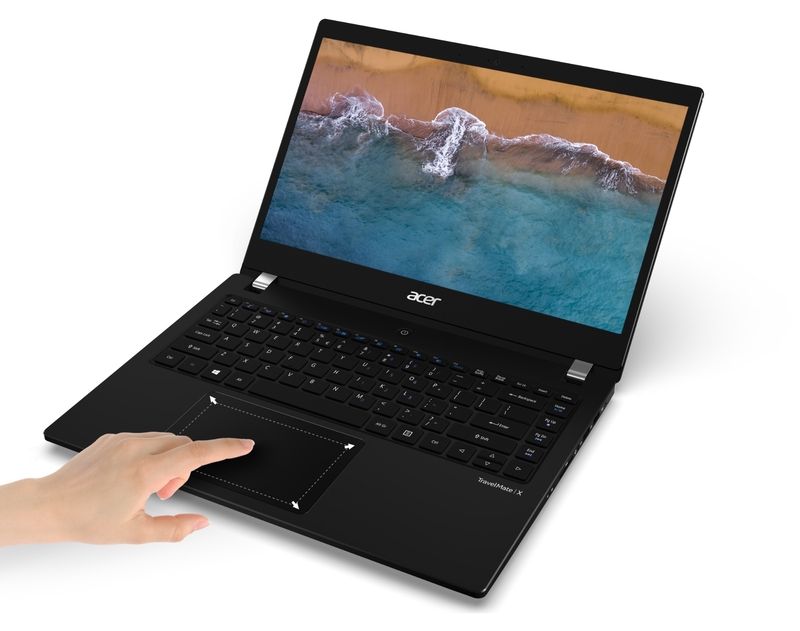 The lightest computers on the market, such as the Acer Swift 5, have a weight of less than a kilogram. It is worth remembering, however, that the computer should not be too slender, because then the ports will not fit the necessary ports, such as standard USB, USB-C, headphone jack and memory card slot. This set of ports should be sufficient for the average bit eater. Some people may additionally need an image output (usually HDMI). It is not a standard so it is worth checking if you can connect an additional screen to your laptop. 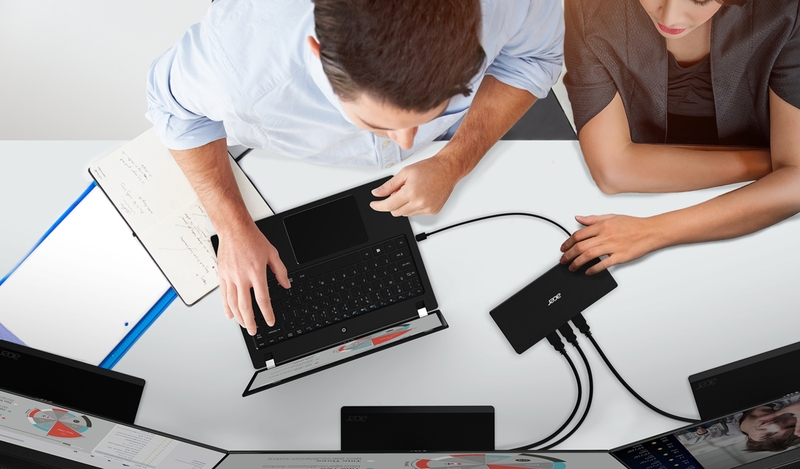 Some manufacturers also allow you to connect your docking station to additional accessories using USB-C.
A very large part of people choosing their computer pays attention mainly to its performance. In my opinion this is not the most important aspect of the laptop. After all, most of us use this type of machine for simple tasks such as web browsing, multimedia consumption and the use of social media. You do not need a Core i7 unit for such tasks. Here, all you need is a quad-core Intel i5 processor or even a weaker Core i3. The most powerful models will be especially useful in demanding tasks, such as image processing or film editing. That's why before choosing a notebook it is worth considering how we use it. The average bit eater should pay more attention to the amount of RAM. This type of memory must be at least 8 GB, then work with the computer will be completely comfortable. The SSD drive, which acts as a mass memory, has a huge impact on the speed of the laptop. It is usually less capacious than a disk drive, but in terms of speed it outclasses the competition. The choice of SSD is the more reasonable choice, that we keep fewer and fewer things on the computer. We stream movies and music, we have documents on disk in the cloud. Therefore, it is better to invest in efficiency than in capacity. Graphics Card? In the case of work equipment, it is enough to integrate it into the processor. People who want to play the latest titles should rather look for a desktop computer or a powerful laptop costing much more than the models I have presented. We will devote a separate text to them. The processor may not have a huge impact on the computer's performance in everyday tasks, but it depends on the energy consumption. This, in turn, translates directly into working time without charging. 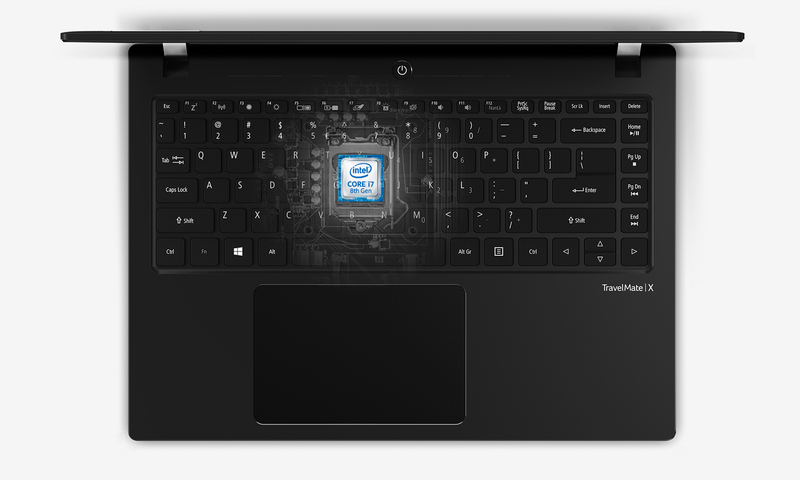 To make this one as long as possible, it is worth choosing a laptop with the latest processor. In the case of Intel, it is the eighth generation, which we will get to know after the designation, eg Intel Core i5-8250U. The seventh-generation processor was even Intel Core i3-7100. It is better not to invest in older models, at least for new computers. Okay, but how much does it work without charging a modern PC? In my opinion, this time should be at least 6-8 hours, which is a standard work day. Here it is worth following the reviews and data provided by the manufacturer, because the vast majority coincide with the reality. This computer element must be sufficiently detailed, and therefore have a resolution of 1920 x 1080 pixels or larger. It will make the image appear sharp like a razor. You should also pay attention to the type of screen. The shiny matrix offers nicer colors, but allows comfortable work only in the room. In turn, the matte screen turns out to be a bit less charming, but it will enable you to work even outside the home or office. The quality of color reproduction is also important, but in computers from this price shelf it is almost always good. As for the size of the screen, it largely determines the mobility of the computer. If the equipment is often moved and transported, it is worth choosing a model with a 13- or 14-inch screen. The office is ideally suited to 15-inch equipment. An extremely underestimated part of the computer is the keyboard, and it is she who decides about the comfort of working with the machine. It's best to choose this type of island, so you will not fall under the crumbs, and washing it will be very easy. Such keyboards are equipped with almost all laptops available on the market. It should also be silent and highlighted to allow comfortable work during the night. Also important is the trackpad, which should be adequately large, sensitive and smooth. Thanks to this, it will be possible to operate with it not only with one finger, but also to perform complex gestures requiring the use of two or three fingers. Unfortunately, both keyboards and trackpad can not be easily evaluated on the basis of parameters. You have to check them yourself in the store and work on your computer for a while. 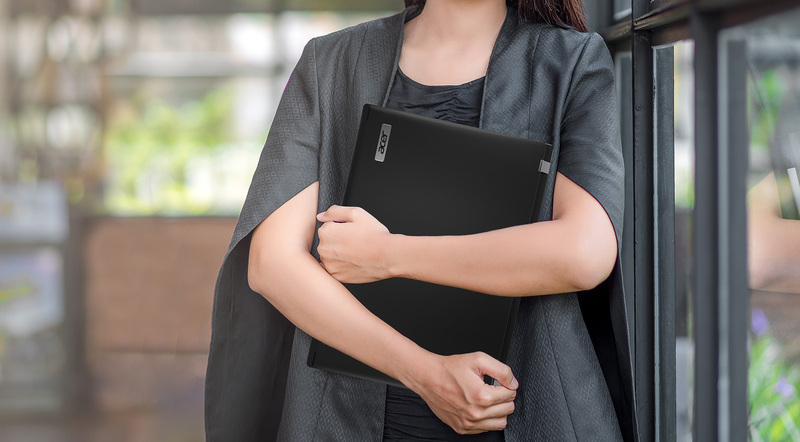 This is a very interesting laptop with a slim aluminum case. It emphasizes the business nature of this model and makes it look elegant. In addition, it provides very good durability. The latter has been confirmed by tests carried out by Military Standard. 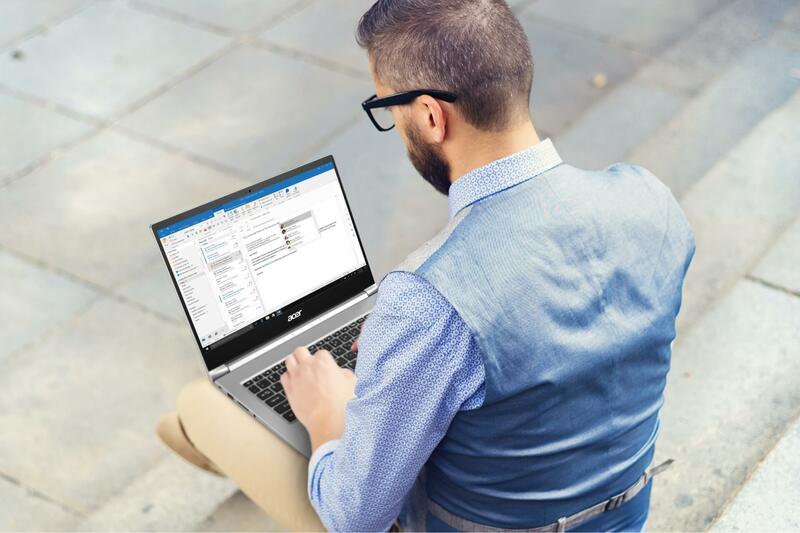 Acer TravelMate X3410 is equipped with a 14-inch Full HD screen, as well as fast components such as an Intel Core i5-8250U quad core processor, 8 GB RAM and a 512 GB SSD drive. There were also no needed ports and connectors. Another advantage of this machine is the possibility of extending RAM up to 32 GB and replacing the disk with a model with a capacity of up to 4 TB. This model can operate on the battery for up to 12 hours. Its price is PLN 3,800. 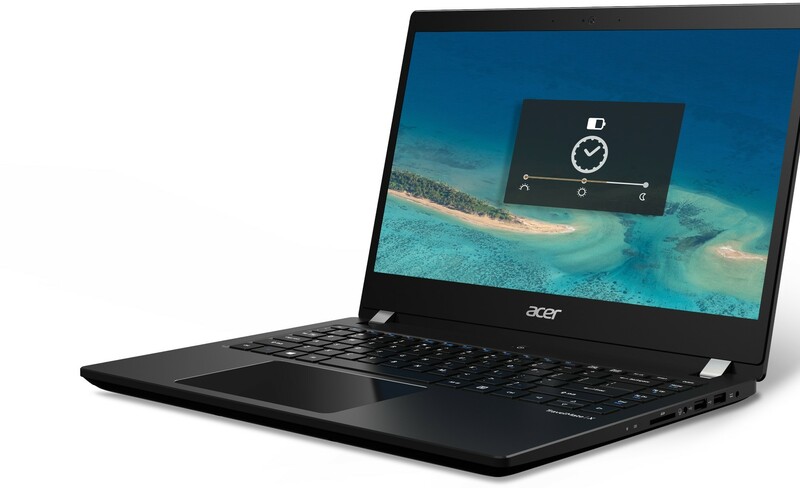 It is also worth paying attention to the Acer Swift 3 model. It is a 14-inch ultrabook, whose casing is entirely made of aluminum. This equipment is very nice, but the most important is its performance. This model is available in many configurations. 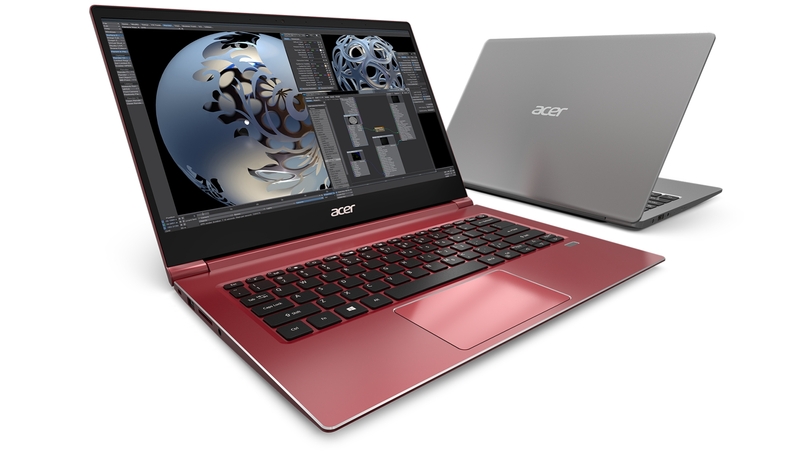 The Acer Swift 3 can be a cheap machine with an Intel Core i3 processor or a core i7 core. The processor works with 8 GB RAM and SSD drive with a capacity of up to 512 GB. The computer also has all the necessary connectors, such as full-size USB ports, USB-C port, card reader and HDMI video output. The built-in rechargeable battery provides 13 hours without recharging. The laptop costs at least PLN 2,400. The market is currently dominated by 13- and 14-inch laptops, but some people look for larger devices with a 15.6-inch display. One of them is Acer Swift 5, which is very decent and reliable equipment. It can be described as a larger version of the Acer Swift 3, with which it shares a large part of the specification. I am glad that the laptop has a screen surrounded by very thin frames. Thanks to this, although it provides a large work surface, at the same time not taking too much space. It is also a very light computer, because it weighs a little less than a kilogram. You will not feel it in your bag or backpack. * The material was created in cooperation with the Acer brand.